The types of films I love the most are the ones with a real raw intensity. Black Swan is definitely the most intense film experience I’ve had with Darren Aronofsky’s chaotic direction becoming almost suffocating at times. It’s a film which I endlessly admire, as is his second feature, Requiem for a Dream which features a similar intensity with an added emotional punch to the ribs. 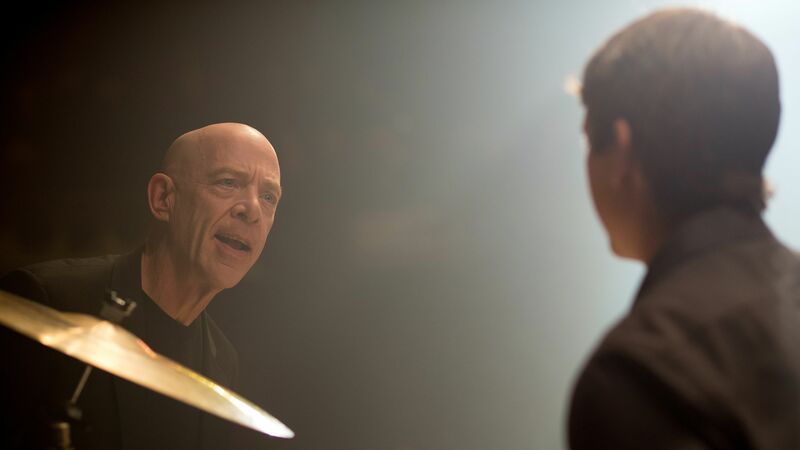 Whiplash is a film with that same kind of intensity. It’s rare to find a film which grabs you by the throat and doesn’t let go until the credits, but Whiplash manages to do more than that. It actually tightens the grip as the film goes on until you’re just about choking by the end of it all! 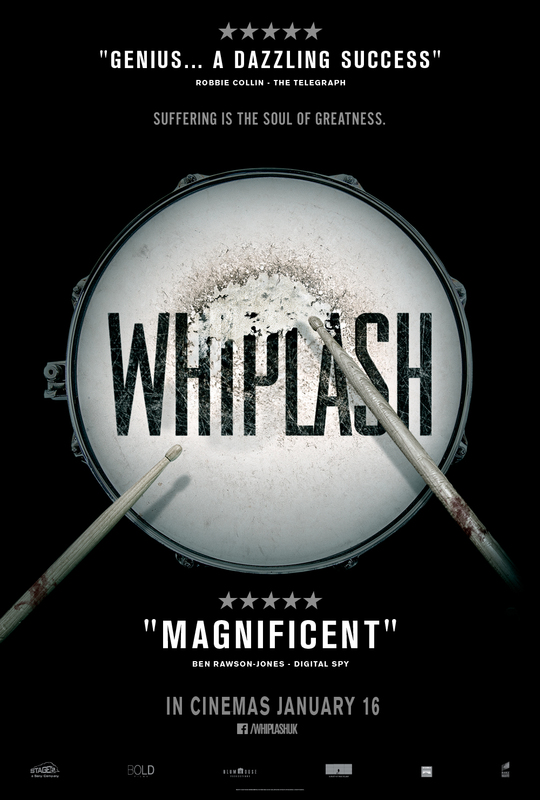 Whilst I don’t think that Whiplash is quite the perfect masterpiece many people have made it out to be, there’s no denying that it’s an absolutely stellar and riveting film. It does for drumming, what Black Swan did for ballet. Imagine if Natalie Portman wanted to be the most perfect drummer in the world and Vincent Cassel was a shouty and overbearing bully pushing her way beyond the limits of human capacity and you have Whiplash. The film relies a lot on Damien Chazelle’s exhilarating direction. He manages to bring scene after scene of gripping intensity which seems to build and build until the electrifying finale. He directs the drumming performances with lots of close-ups and quick cuts which end up leaving you feeling completely exhausted. On top of that you’ve got JK Simmons shouting at the top of his lungs at the students and wearing them out until they physically bleed. There’s a scene early on where he picks on someone who’s out of tune and it almost made me want to cry like the poor kid he was picking on. JK totally earned his Oscar here. It’s a frightening and wildly intimidating performance full of passion and force. His presence fills every scene he’s in and dares you not to take your eyes off of him. Miles Teller, who plays the protagonist drummer boy, is also very good in the role. He manages to be very convincing and you can’t help but root for him to do well. He has an infectious passion for the drums and an admirable ambition. Although, if I was in his shoes I’d kick the drums into touch and take that girl and run! The idea of watching a film about an ambitious drummer trying to make it in a jazz band isn’t an appealing one. It’s down to Damien’s superb directing and writing skills which make it utterly compelling. It’s also incredibly unpredictable. There are so many twists and turns in the final 20 minutes that you have no idea how it’s going to end. I also quite liked how it ended fairly ambiguously. The final scene is truly extraordinary to watch and extremely similar to Black Swan’s final scene. It’s so intense that it has your fingernails digging into the person you’re sitting next to and your heart thumping like a steam train. There are a couple of problems which stop it from being perfect. I thought that the plot lacked more focus which could’ve added to the intensity of it all. In Black Swan we’re made very aware of the days passing to the final performance and so when it arrives we feel almost as nervous as Nina! With Whiplash, it wasn’t made clear as to what the jazz band were working towards half the time. At one point I didn’t even realise that they were performing in front of an audience! There also felt like a lack of character development. However, ultimately these problems don’t detract from the overwhelming experience the film offers. 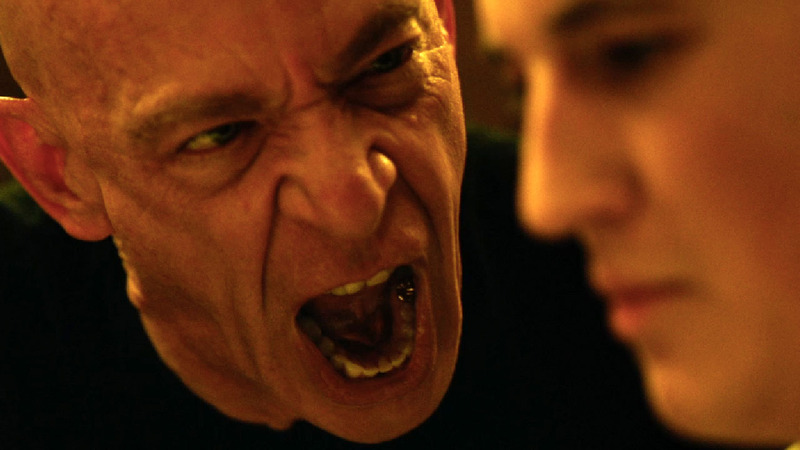 Whiplash is a masterful little film. Made for only one million dollars and shot in less than 30 days, Damien Chazelle has showed the world that he possesses an undeniable talent for filmmaking. It’s a sensational debut and I defy anyone not to come out by the end of it feeling exhausted. It may not be everyone’s idea of entertainment, but for those who are into dark, psychological and intense films then Whiplash is the film to see. I really look forward to going through it all again.